Home » Politics » Mukul Roy joins BJP: Will more Trinamool Congress leaders follow suit? Now that Mukul Roy has been inducted into BJP, will the party manage to lure more AITC workers? A day after Mukul Roy joined BJP, rumours that several other All India Trinamool Congress workers, who are not pleased with the way the party is functioning, may be looking to follow suit. Speaking of how an internal feud has been festering for a while within the AITC, a senior leader spoke of how there are chances there may be a slow erosion within the party. "Although Chief Minister Mamata Banerjee has urged the party workers to stay united in their fight against BJP, Roy crossing over could help attract disgruntled party members to the saffron camp. The AITC workers will not shift their allegiance to BJP immediately, but there will be a slow erosion," he said. Perhaps with an eye on a similar prize, Roy spoke out against his former party on Saturday. Speaking of how the situation in Bengal has deteriorated under Mamata Banerjee's party, he said the current situation is much like it was in 1972 when former Congress chief minister Siddhartha Sankar Ray was in power. According to Roy, Trinamool Congress is threatening members of political parties who oppose their views with CID enquiries. “If elections are held in a peaceful manner then BJP will increase their vote share in West Bengal in the upcoming panchayat elections. By the 2019 Lok Sabha election, I am confident that BJP will to strengthen its base in West Bengal,” he said. The recent developments have been a cause of worry for several Trinamool leaders. But many believe that this is just politics. "A leaf has been fallen from a tree, but the tree will remain intact. Mukul Roy’s exit hardly will hardly make any difference inside the party,” says AITC leader Goutam Deb. Sovan Chatterjee, the Mayor of Kolkata Municipal Corporation and senior Trinamool Congress leader echoed his sentiments. “We don’t think there is need to introspect over a person who has already left the party. We need to focus more on development works that should be carried out extensively for the people of Bengal,” he said. 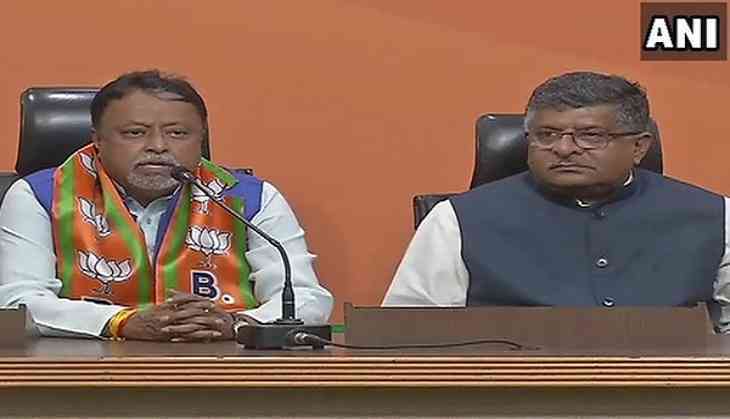 TWEET THIS Former Trinamool leader Mukul Roy hits out at party a day after joining BJP Now that Mukul Roy has been inducted into BJP, will the party manage to lure more AITC workers?